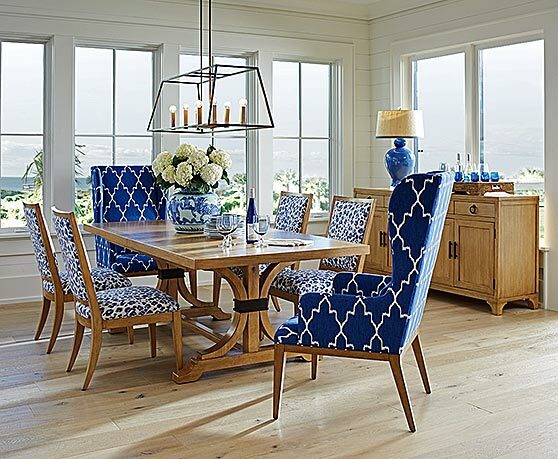 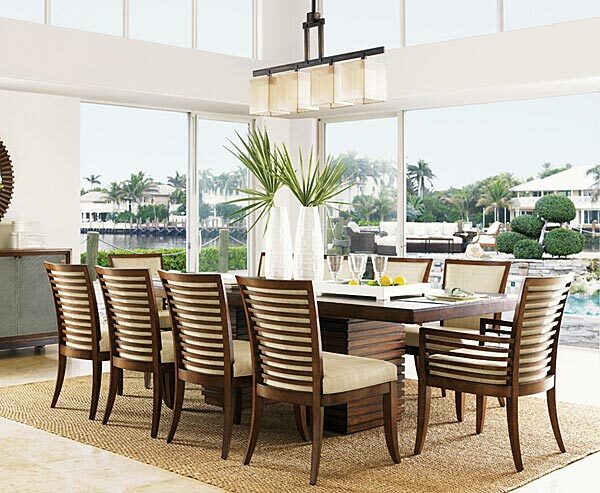 Make every dining experience special with a beautiful new dining room from Fedde Furniture. 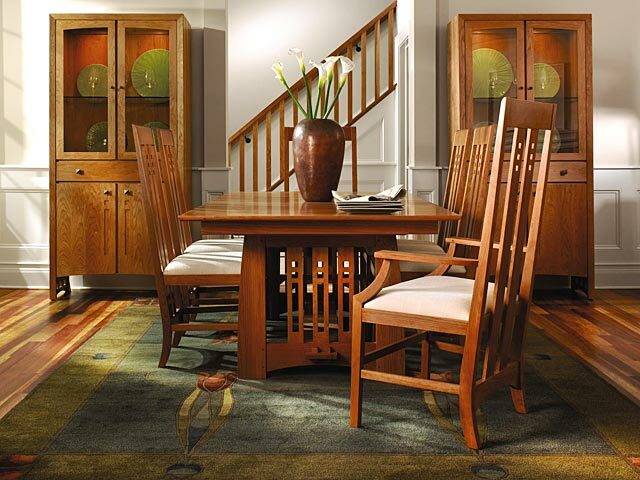 Select from classic traditional cherry, mahogany, maple or pecan. 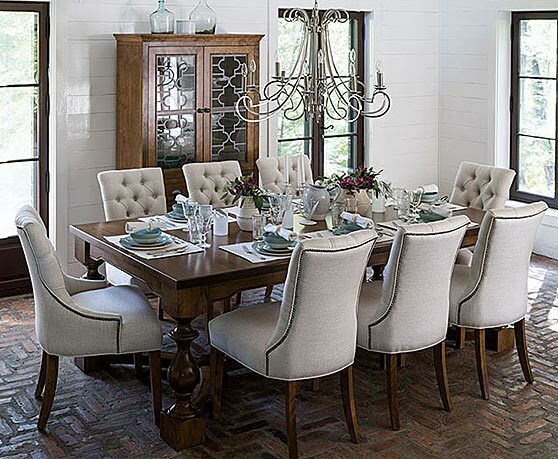 Hand carved Queen Anne, Chippendale or ball and claw designs with a variety of rich hand rubbed finishes. 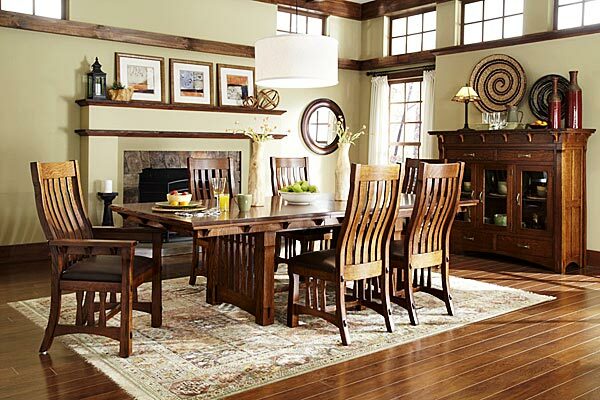 Browse our large selection of Traditional, Craftsman, Transitional, French and Custom Finishes dining rooms, all at special values that make it easy to create the special dining area you have always wanted. 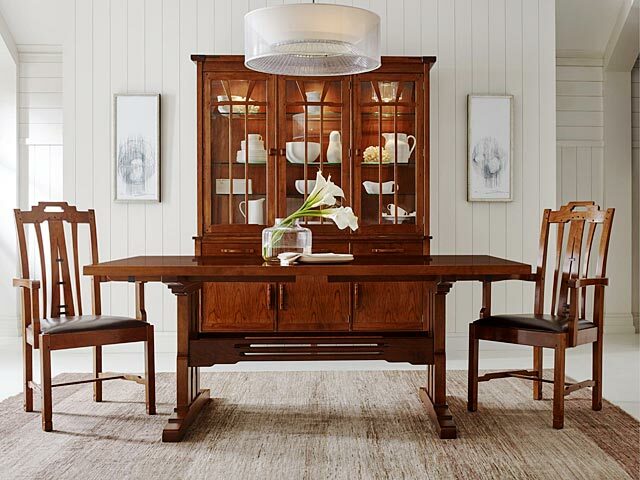 Add accents to your dining area with a variety of china and display cabinets, marble top credenzas, corner chinas and classic traditional servers and sideboards for additional storage and serving area. 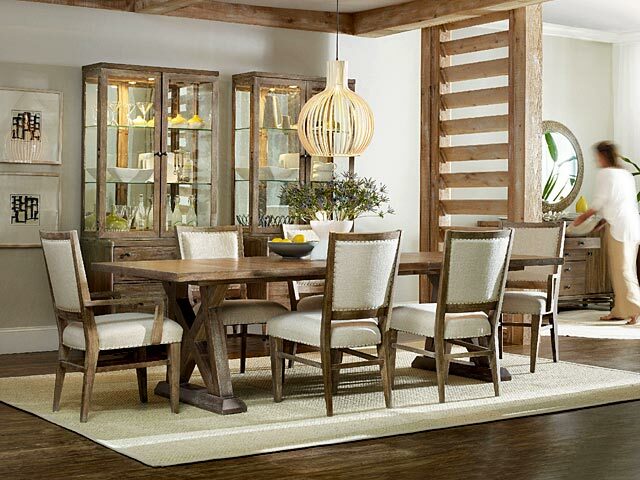 Quality home furnishings, classic designs, unique values designed to make every dining event more comfortable.